The Alchemy-Spetec Gel Pump is a pneumatically-operated, high pressure, stainless steel, dual-component chemical injection machine designed primarily for low viscosity acrylic gels like Spetec AG100 and Spetec AG200. A third component, or flushing agent, is pumped through an additional piston assembly that is operated at the mixing manifold. 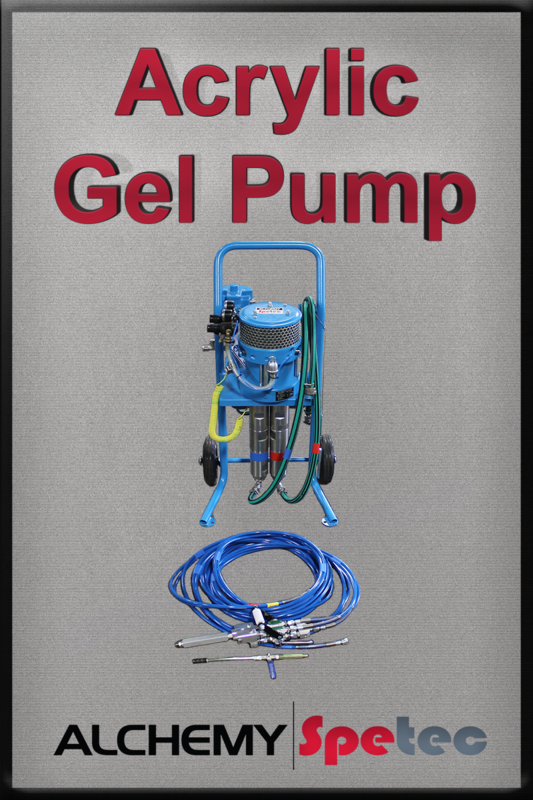 Click here to download the Gel Pump datasheet for more info.